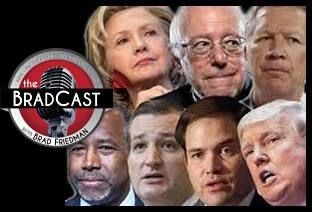 " Articles in Category: Jim Gilmore	"
On today's BradCast, we catch up on a lot that we didn't get to cover from last week (while covering all three Presidential debates and one Election Day) and from this past weekend, as the violence at Trump rallies --- and his willingness to blatantly lie about it --- has quickly devolved from bad to worse. 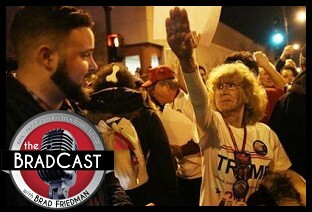 First up, we focus on three specific events at recent Trump rallies (in IL, OH and NC) and the fact that the GOP front-runner --- accurately described by Bernie Sanders as a "pathological liar" and by Hillary Clinton as a "political arsonist" this weekend --- is not only inciting violence, but also attempted to smear American protesters and Sanders supporters as Nazis and members of ISIS, even while offering to pay the legal fees for his own (actually) violent supporters. Where all of this seems to be heading is now very dark indeed, as we make clear on today's program. Also today, voting rights news out of both OH (where we have some very good news) and TX (where we have some very troubling news) from the courts. 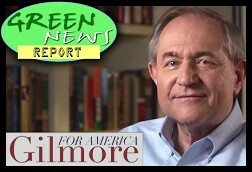 And finally, as promised last week, Desi Doyen offers some thoughts on the latest round of Republican climate change denial offered at last week's GOP debate by Florida's U.S. Senator and Presidential candidate Marco Rubio, whose own constituents are begging him to take action on rising sea levels already impacting South Florida communities. Buckle up! 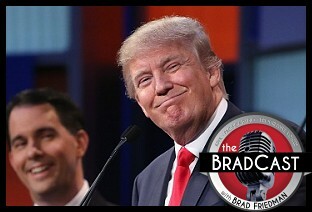 On today's BradCast, we jump on board the crazy train to dissect last night's GOP/Fox 'News' Presidential Debate(s)! My guests today are award-winning blogger/journalists Heather Digby Parton of Digby's Hullabaloo and Paul Rosenberg of Random Lengths News --- both also contributors for Salon. Can Trump ever be derailed? Fox 'News' and Roger Ailes sure seems to be trying. And does any of it actually matter a year and a half out from the general election and more than six months before any votes are ever cast? We discuss all of the above (after "Digby" and I take short victory lap concerning Donald Trump!) and much more in today's post-debate roundtable! "[Trump] has absorbed all of the rightwing tropes of the past 30 years and made them his own. He's ingested them, digested them, regurgitated them, played with them, shaped them into figurines, and just endlessly fascinated himself with them, and invited people to play along with him," Rosenberg tells me. "And people are happy to do so, because he is their ideal --- he is a super-wealthy person who is 'just one of us'." For her part, Parton says the debate actually does matter, for one reason, "because what we're seeing are the contours and outlines of the Republican argument. 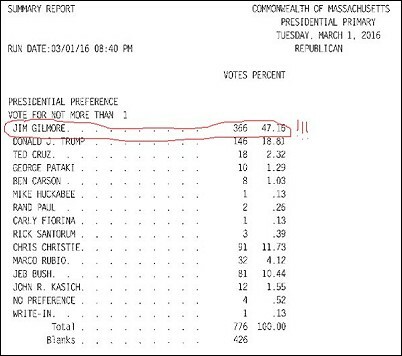 I think it's pretty clear they're going to be running as war-mongering, tax-cutting, slash-and-burn politicians who are going to roll back everything that's happened in the last eight years. And they're going to do it all in the first day, so that's good." What a week. An incredibly busy one, but we've got some really good shows to show for it, I think. Enjoy today's!